2004 was an interesting year. We had that Superbowl performance by Justin Timberlake and Janet Jackson. Facebook was launched. And we had the last ever season of Friends. 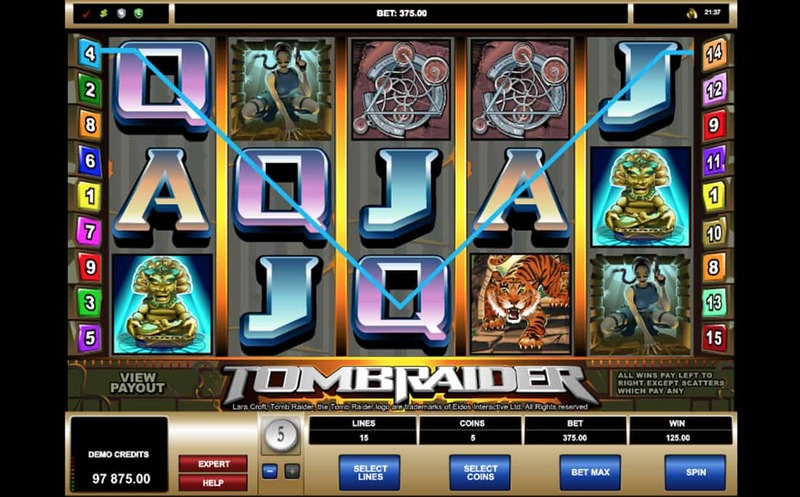 But more importantly, Microgaming teamed up with Eidos Interactive to give us the very first licenced Tomb Raider Slot. 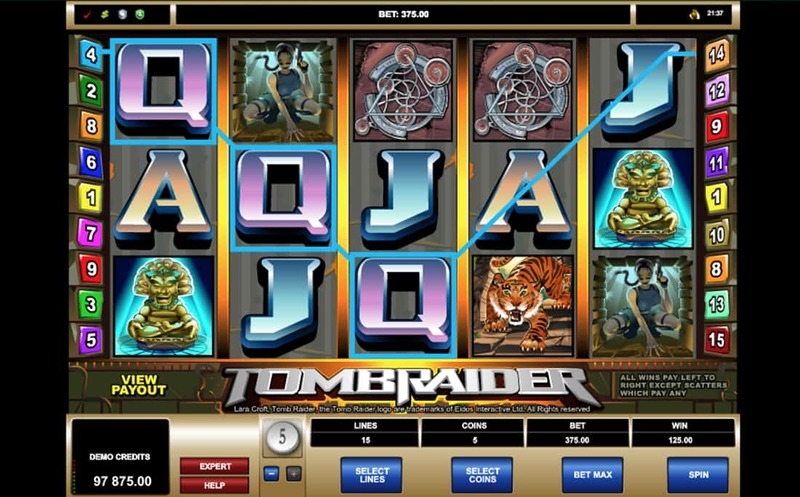 In all her polygonal form, Lara Croft made her way from PlayStation to slots on a five reel, 15 payline game that dawned a new era of online gaming. Anyone who remembers what Lara Croft looked like in 2004 will feel the nostalgia wash over them when playing the Tomb Raider slot. Because that’s the Lara Croft we get. Not Angelina Jolie, not the rebooted console version nor Alicia Vikander. It’s the blocky Ms Croft, guns blazing and wearing the shortest of shorts. 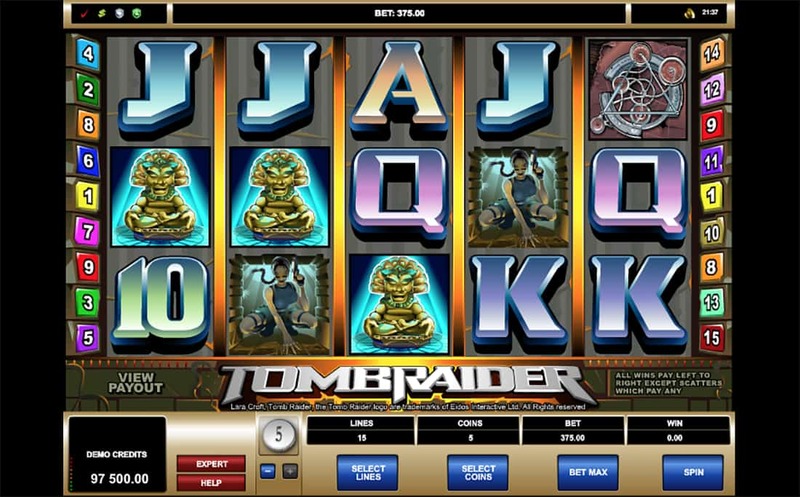 The look and feel of the slot is similar to the old video games, with steely designed symbols. Main symbols include Jack, Queen, King, Ace, Lara Croft, Idols and the Tiger. And if you remember playing the old Tomb Raider games, you’ll remember that blasted tiger. Thankfully, it’s more rewarding this time, acting as a higher paying symbol rather than mauling our heroine to death. Bear in mind that this slot was released in 2004. It doesn’t have the all-singing, all-dancing graphics that we are used to today but, just like the original Tomb Raider game, it still has the playability factor. 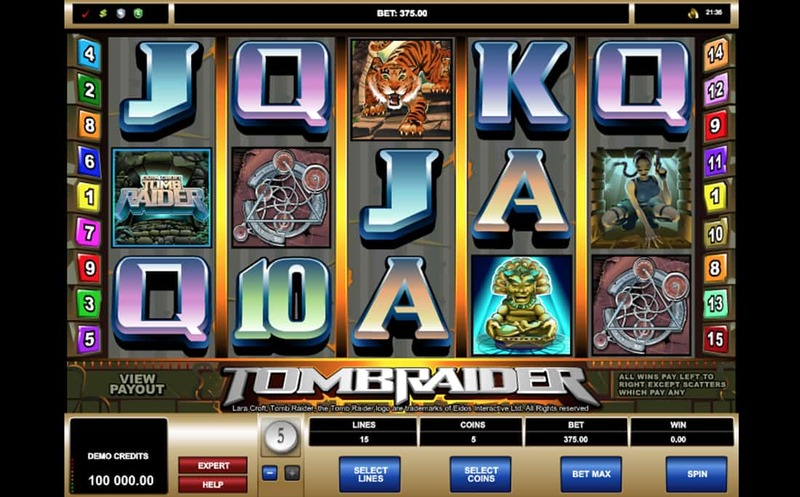 Not only did Tomb Raider pave the way for more licenced games but was also Microgaming’s catalyst for adding exciting new features to slots play. 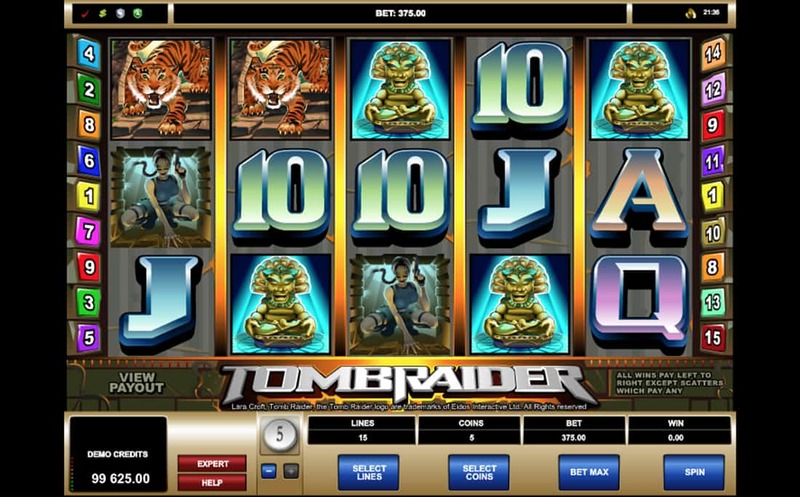 The Lara Croft Scatter symbol rewards us with ten Free Spins. But it’s not just Free Spins. Nope, all wins during the spins are tripled! And, if we land three more Scatters during the round, we can get more Free Spins. This goes on and on until no more appear, making this a potentially lucrative bonus game. There’s also the Tomb Bonus, which is triggered when three, four or five of the Idol symbols form part of a winning payline. We’re taken to a separate screen where loads of idols lie in wait. Depending on how many Idol symbols we scored to trigger the feature, we get the corresponding number of picks. So, if we get five Idols we get five chances to pick an idol on screen and see what instant cash prize we scoop. It’s exactly the type of activities Lara Croft got up to, though fortunately there’s no chance we’ll be savaged by tigers here. Lara Croft is one of the original next-gen gaming characters (by next-gen we don’t mean Next Gen, we mean Microgaming!). She’s had more appeal across other media than any other character – there’s a reason why we’ve only had one Super Mario film but loads of Lara Croft ones. She’s classy, she’s acrobatic, she’s pretty damn cool. She also plays a pivotal role in our own treasure hunting activities. This is all brought to life on the first Tomb Raider slot. All its angular designs may look dated now but there’s so much charm to keep us coming back to it. That and Lara’s…erm…guns.